Practice makes perfect, right? This statement is true for dogs as much as for people! 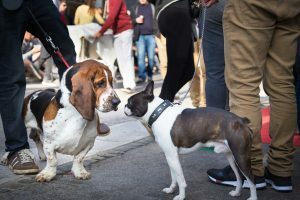 The behaviors your dog “practices” are the ones likely to be repeated again in the future – regardless of whether those behaviors are ones we like, such as sitting on cue, or ones we don’t like, such as barking at dogs on walks. Practiced behaviors may actually get stronger or harder to change, just by allowing them to happen. Blocking your dog’s opportunity to rehearse unwanted behavior patterns doesn’t automatically teach them how to feel or to behave in those situations, but it will improve your dog’s response to training interventions and make it easier for them to learn new and better habits. It may be helpful to think about this in terms of green, yellow, and red emotional states. Your responsibility is to keep your dog as consistently in “green” as you possibly can, unless you are focusing on teaching your dog how to respond to specific situations, in which case you’ll briefly create a hint of a “yellow” situation, then immediately provide your dog with their favorite reward or give them a cue to guide their behavior to something you can reward. 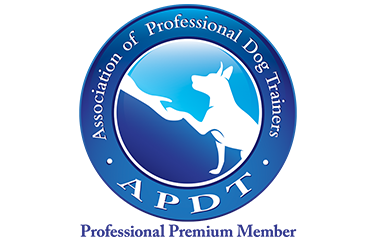 Specifics of how to do that for your dog will be covered within behavior modification or training sessions, but these interventions will be MUCH more effective by proactively managing your dog and their environment between training sessions to prevent that unwanted practicing. If your dog is likely to react to people or dogs in public, try adjusting your route or maintaining enough distance that they are able to remain calm and non-reactive. If you live in a busy urban environment, try to walk at “off hours” and avoid peak busy times. If your dog is likely to react to passersby from your home, by barking or charging the front windows, make a point of blocking access using a gate or perhaps by covering the lower portion of the window with an opaque covering to limit their view. Ideally, the gate or window covering is something that can be removed during training sessions but then put back into position between sessions. If your dog is likely to react to people or other dogs while riding in a vehicle, using a seat belt, having them ride in a crate, or perhaps using a tool such as a “Calming/Thunder Cap” can be helpful for minimizing this behavior. If your dog is likely to bark and/or charge the fence line in response to neighbors, dogs, or passersby, it may be necessary to temporarily limit their access to the yard to times when they can be directly supervised. It may be necessary to be out in the yard with them so that you can prevent rather than interrupt aggressive reactions. It may also be necessary to use a long training leash for full control rather than allowing them time in the yard off leash. Taking steps to avoid having your dog practice unwanted behaviors will allow for more efficient progress as you work through a behavior modification plan. 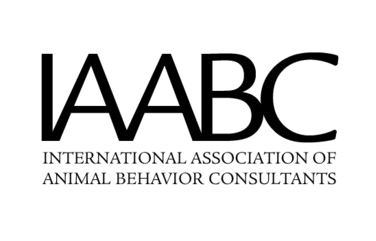 If you need advice on effective management strategies, or if you’re ready to start a behavior modification program with your dog, reach out to a positive reinforcement based, certified dog behavior consultant for help.